At the Washington State Farm to School Network Launch Summit in May 2018, network members affirmed some goals and initial Strategic Priorities to help guide and align the diverse work that network members do in their own communities for shared, collective impact across our state. 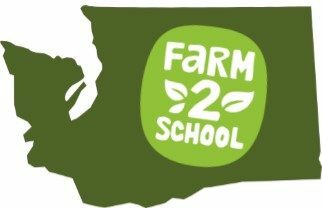 The Metrics and Evaluation team established a set of simple, measurable metrics to help show progress towards those Strategic Priorities and other ways that farm to school makes a difference for students, farmers, and communities across Washington State. Sources: *2015 USDA Farm to School Census, 2016 WSDA Farm to School Survey, 2015-2018 WSDA Taste Washington Day participation. **2015 USDA Farm to School Census. Goal: Increase student understanding of where food comes from through education about food, agriculture, and nutrition. Source: 2015 USDA Farm to School Census. “School food authorities” (SFAs) are predominantly school districts, and some individual private schools. Goal: Support school gardens and farms in every school. Source: 2018 WSDA Farm to School Survey and OSPI Washington State School & Community Gardens Google Map, as of January 2019. The survey and adding a garden to this map is voluntary, so may be under-reported. To add your school garden to the map, fill out the OSPI School Garden Map Update Survey. Goal: Increase the number of early childhood education programs incorporating farm to school. Source: 2018 National Farm to School Network ECE Survey. Top Farm to ECE activities that programs reported conducting included food and agriculture education, serving local foods in meals and snacks, and having an on-site garden.